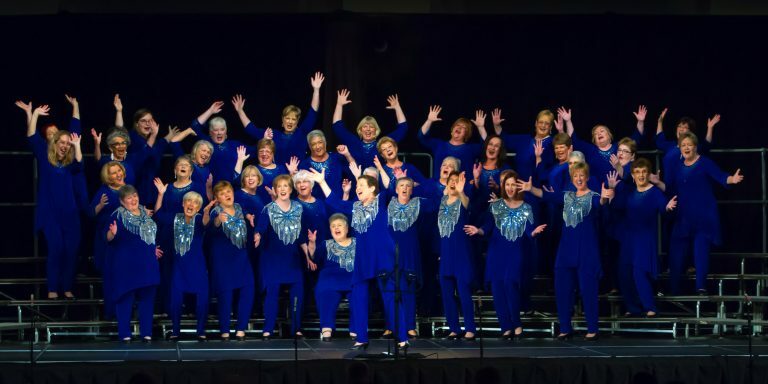 Sea Belles A Cappella Chorus, Saint John’s only chapter of Harmony, Incorporated, will head to Sackville, NB June 1-4th to participate in an area contest that could qualify the local singers for an international competition later this year. Sea Belles will go head to head with six choruses in Harmony, Inc.’s Area 1, which includes New Brunswick, Nova Scotia, Prince Edward Island and Newfoundland. The competition will determine area rankings, and participants earning a score of a certain threshold are qualified to participate in the international competition of Harmony, Inc. choruses in Halifax, Nova Scotia in November. The public is invited to watch choruses and quartets compete. All shows and contests will be held at the Convocation Hall, Mount Allison University on Friday, June 2nd. Quartet Contest begins 12:30 pm and Chorus contest begins 8 pm. Tickets will be available at the door. Admission: $10 for each event. Harmony, Inc. has hosted area and international conventions for more than 50 years. Participants are adjudicated by a panel of trained judges evaluating categories that encompass what songs the performers chose to sing, the skill with which they sing those songs, and how they present the songs, which can include emotionally connecting with the audience. With approximately 55 members, Sea Belles is directed by Janet Kidd of Hampton,NB. The chorus will present two new songs this year at the area contest, If You Love me and Joint is Jumpin. These selections are a small sample of the chorus’s extensive repertoire, which is ideally suited for a wide range of audiences and events. Following the Atlantic singing contest, Sea Belles will be performing at Hampton United Church A Cappella concert fundraiser, June 11th, 7 pm. To learn more about the chorus’s performance schedule, visit www.seabelles.ca.